Look at Hogan’s upper body — he’s fully rotated and his levers are all set. The club is past parallel, but his lead arm path and the shaft are dead on plane. I love the strain in his right leg and the way he’s pressuring the inside of his right foot. This is rock- solid stuff. Only a few dinks for some alignment and grip issues at address. 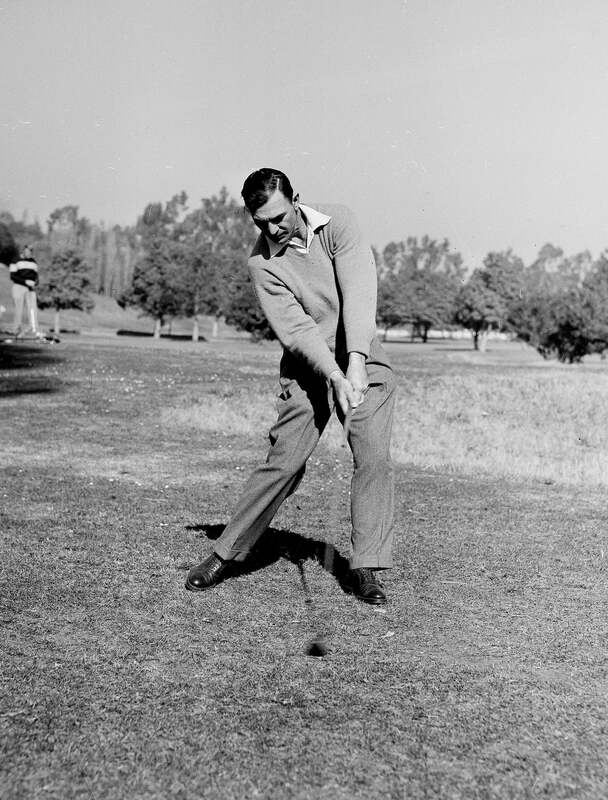 With a stronger left-hand grip and less body rotation, Hogan’s clubface in his earlier days was often closed at impact. 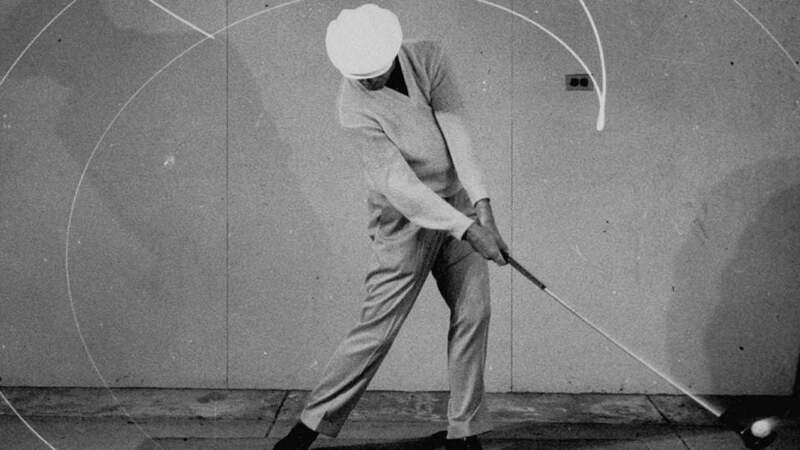 When Hogan changed his lead-hand grip while also incorporating more lower-body lateral movement and rotation, it helped him square up his body and build a very stable clubface at impact. It’s how he perfected that now-legendary Hogan fade. I really like how Hogan turns his right shoulder ahead of his left hip to end his swing. It’s evidence of just how aggressively Hogan moved and rotated through the ball and into his follow-through. His weight has released onto his left side, but there’s no imbalance. Yep, this is a 10. 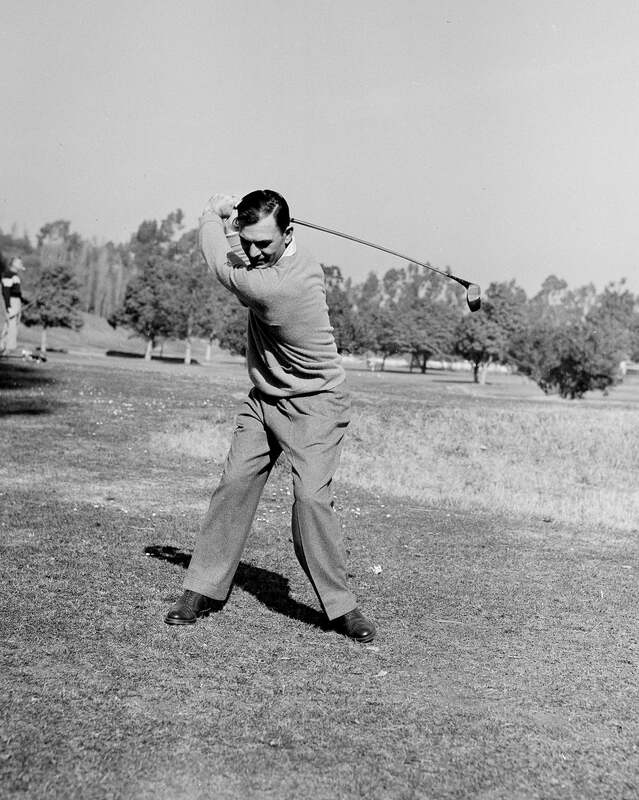 Editors note: The "current" were Hogan's swing scores at the start of his career. 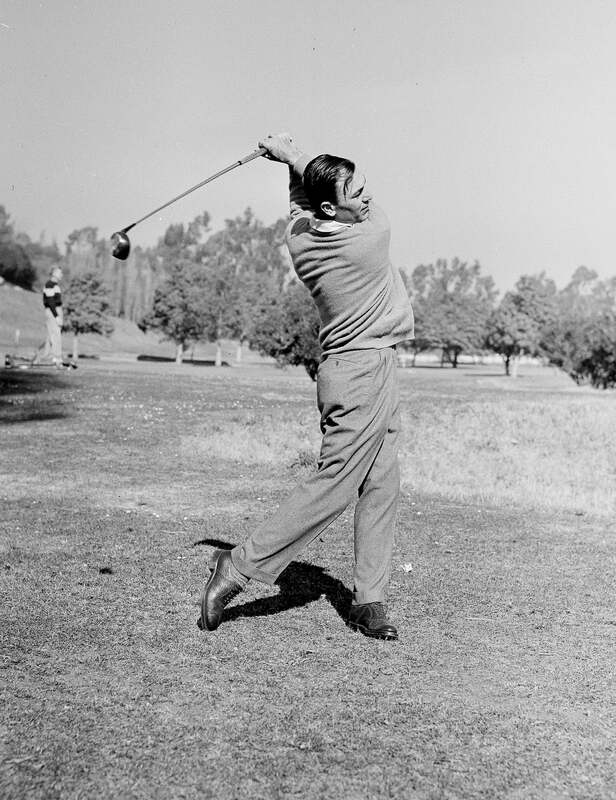 The "potential" were Hogan's swing scores at the height of his career. 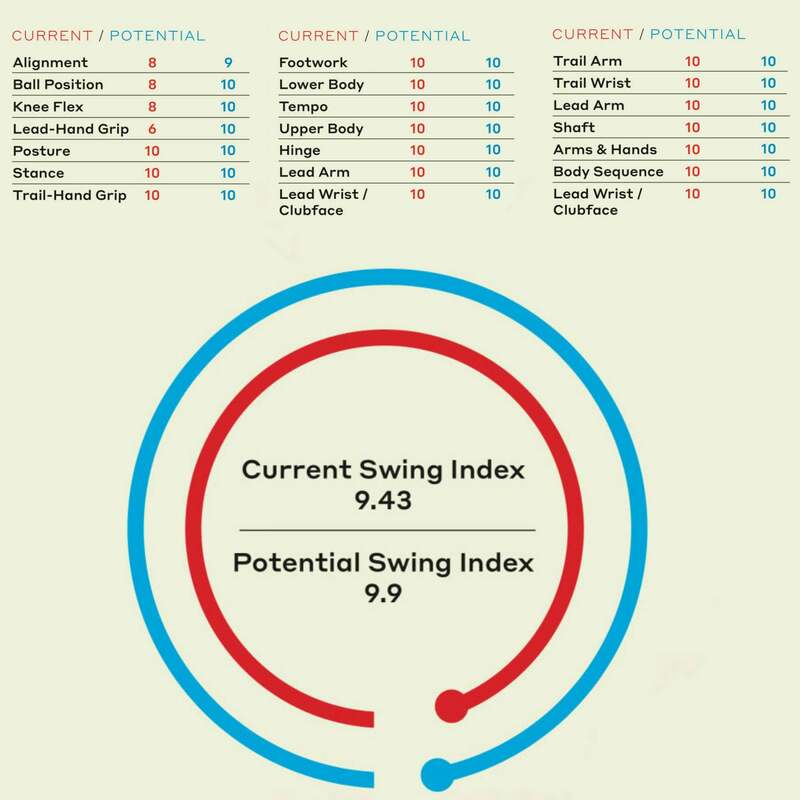 Want to find our your Swing Index? Download the Swing Index app here.